With our blog name being Canucks Hockey Blog, we don’t have a horse left in this race. To be honest I didn’t do that great with predictions in round 1. I only had four right. Shout out to our Blogfather JJ who got six right along with Lizz and Caylie. What will happen in Round 2? Who sweep? Who will go 7 games and which CHB blogger will predict it? Find out here! Because this article is a wee bit late, we already know Caps took the first game. I don’t think they’ll take much more. It’s not a matter of if Ovechkin will be contained, it’s a matter of when. 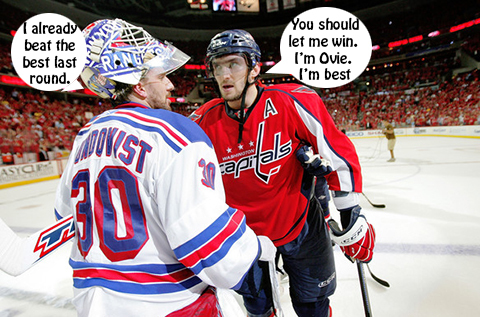 NYR has a strong D and they’ll make easy work of Ovechkin in future games. Or the Russian superstar will take care of it himself with a few too many of his standard ‘questionable’ hits that the league will be forced to look at. It’s going to be a battle but I say Rangers in 7. 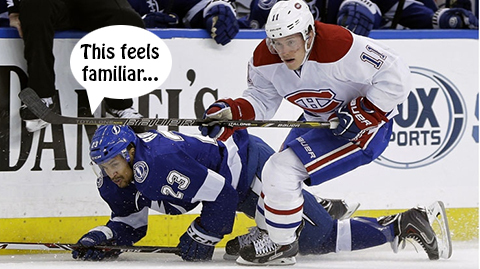 Everyone’s saying it’s a different team in Tampa than the one the Habs swept last year, but I just don’t see it. The core is essentially the same and Stamkos, so far, has been kept off the scoring sheet. If the Wings can contain him, Subban and his boys can. Plus although Bishop is good, Price is better. Habs in 6. No contest, Hawks will win. Why? 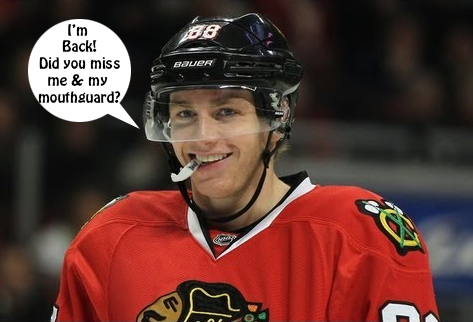 Because I was completely wrong about Patrick Kane in my last prediction, he’s back at 100%. Also although they played musical goalies in round one, all that really did was prove that Darling is ready and able to step in when Crawford falters and so is Crawford, when Darling fails. To me, that’s another sign of their depth. Hawks in 4. 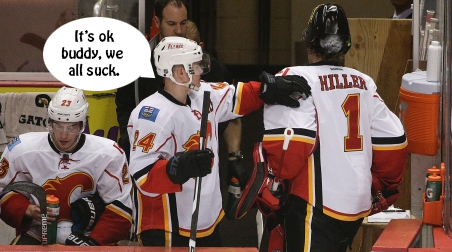 Flames will lose and badly. The Ducks, unlike the Canucks, aren’t going to get distracted by their cheap, bullying tactics. I’m fine with this. Let the Ducks sweep their way to the final so I can drive down to Anaheim and watch Ryan Kesler lose his second Stanley Cup. Ducks in 4. Are we wrong or are we right? Tell us your predictions!